A smorgasbord of rock ‘n roll talent including Michelle Branch, Jason Sudeikis, Will Forte, Butch Walker and members of the Eagles of Death Metal performed at Stones Fest LA, a benefit concert to support Sweet Relief, a non-profit that helps musicians facing illness and disability. The concert, which took place at L.A.’s Fonda Theatre on May 30, was put on by Best Fest, an organization created by music industry veterans Alex Levy, Austin Scaggs and Matt Romano. Best Fest throws other fests (Petty Fest, Dylan Fest) throughout the year to benefit Sweet Relief. What followed was a night of revolving artists singing their dream Rolling Stones songs to an adoring crowd. Musicians performed their interpretations of Stones songs such as “Under My Thumb” (sung by Har Mar Superstar) “The Last Time” (with Pete Yorn and J.D. King) and “Jumpin’ Jack Flash” (sung by Ace Harper, lead singer of Diamond Baby). After each number, the crowd would holler their approval as the set list progressed down a long list of Stones classics. Singer/songwriter Ruby Amanfu (known for her collaborations with Jack White) reduced the house to a hush with her chilling rendition of “Angie” before returning to the stage later alongside Eagles of Death Metal’s Dave Catching for a rousing version of “Gimme Shelter.” The multi-talented Juliette Lewis made her mark on “Beast of Burden” and pranced around the stage wearing an eye-catching pair of bright-red boots. Later, Michelle Branch executed a solid version of “Playing With Fire” that was lighter-waving worthy. 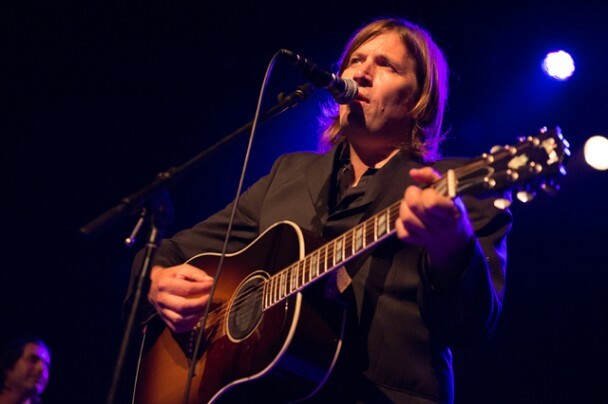 In one fatal swoop, Evan Dando (singer of the Lemonheads), made the night his own by belting out “Wild Horses,” a memorable take on the jukebox classic. A definite highlight of the event were “Saturday Night Live” funnymen, Jason Sudeikis’ and Will Forte’s rendition of “Shine A Light.” The two comedians introduced themselves as “classically trained vocalists in the style of Josh Groban monologuing about balls” before transforming into rock stars in their own right. The show followed two sold out Stones Fest performances in New York last week. As the night came to an end, it was evident that Stones Fest LA was more than an excuse for a drunken night of tribute acts to the Rolling Stones. The back-up band, Cabin Down Below, balanced their respect for the Stones’ catalogue while taking chances to revive the well-known classics. What made Stones Fest LA even more absurdly awesome was the fact that 100 percent of the proceeds went to Sweet Relief, made possible through sponsorship by Jameson Irish Whiskey. To conclude the night, all the musicians gathered on stage for “You Can’t Always Get What You Want,” but it was clear that in the case of Stones Fest, that maybe you can –and for a good cause too.